In its 24-year lifetime, the airline currently known as XL Airways France has had quite the history. Initially launching in 1995 as Star Europe, the carrier provided short-haul services with a small fleet of Boeing 737-400 aircraft. Rebranding as Star Airlines in 1998, the carrier began expanding into the long-haul realm with the delivery of its first Lockheed L-1011 Tristar aircraft. 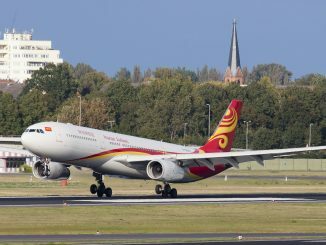 After temporarily ceasing long-haul operations, the delivery of a new Airbus A330-200 in 2002 established a new course for the airline. Shedding its short-haul apparatus in favor of a purely long-haul route network, the airline evolved to its present brand of XL Airways France in 2006 and has grown to 22 destinations across three continents, despite only maintaining a fleet of four Airbus A330s. One of the original low-cost airlines flying transatlantic routes, XL Airways France has connected France with the world on a unique fleet of aircraft offering a unique product. However, as the low-cost market has evolved with airlines such as Norwegian and LEVEL encroaching on XL Airways’ territory, the airline will begin a new chapter that aims to mix up the low-cost market. AirlineGeeks spoke with Frédéric Revol, VP Sales & Marketing XL Airways, to discuss how exactly the airline plans to enter its latest chapter and the changes customers can expect moving forward. XL Airways began flying to New York in 2009, the airline’s first U.S. destination, and has been doing so on a seasonal basis ever since. At the time, the New York to Paris market was being served by countless airlines, but mostly by those focused on premium services. British Airways’ premium-focused subsidiary OpenSkies was debuted on the route in 2008, offering Boeing 757/767 services with expansive premium cabins, and Air France was preparing to introduce the Airbus A380 on the route featuring business and first class cabins. While everybody was looking towards premium, XL Airways was looking towards low-cost. Beginning operations in 2009, years ahead of low-cost competitors Norwegian and LEVEL, XL Airways was able to attract the opposite spectrum of passengers flying to Europe and offer nonstop service at a low rate. Since 2009, however, the service has always been seasonal, despite high demand and load factors. According to Revol, the airline’s average load factor for the route is 90-95 percent, meaning that every flight is nearly selling out. 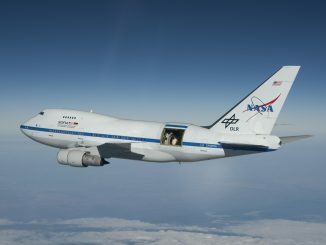 Additionally, half of the sales for the flights are from U.S. customers, meaning that the airline has effectively marketed its product on both sides of the Atlantic. 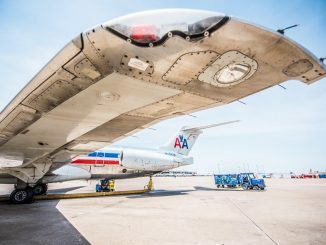 In this, its tenth year of serving New York, the airline will begin year-round operations instead of just seasonal, showing the route’s importance to the airline and its route network. While year-round, the service still won’t be daily, with five weekly frequencies planned for the summer with that number being reduced to four for the winter season. 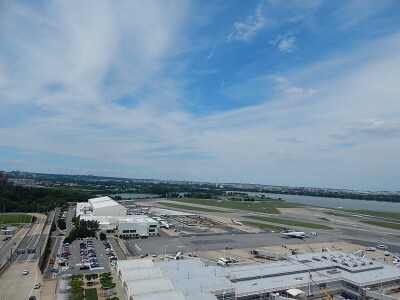 The airline’s airport of choice for serving New York has always been John F. Kennedy International Airport, the main international gateway for New York City, until now. Beginning in June, XL Airways will shift operations across the Hudson to Newark Liberty International Airport in New Jersey, a hotspot for low-cost airlines and home to XL Airways’ sister airline La Compagnie. The change to Newark was purported by Revol to make the two airlines, XL Airways and La Compagnie, closer together through sharing the airport. Many do not know that XL Airways and La Compagnie are sister airlines, both headed by CEO Laurent Magnin, and both offer low-cost products. XL Airways offers low-cost economy products and La Compagnie offers low-cost business class products. La Compagnie had been using Newark since its inception, initially launching two routes from the city to London and Paris but then reducing just to Paris. Shifting operations to Newark, the advantage is there for XL Airways to reduce costs while also being near La Compagnie. Additionally, the move will allow XL Airways to abide by the old saying “keep your friends close and your enemies closer,” as it will be directly competing with LEVEL’s A330-200 service between Newark and Paris. Despite firmly being a low-cost airline, XL Airways has managed to avoid being lumped in with the likes of Norwegian, WOW, Primera and LEVEL, largely due to the time period in which it entered the market. The four low-costs were part of the revolution in low-cost transatlantic travel started by Norwegian in 2012 while XL Airways was already three years into operating service to New York. However, although it proudly bore the label of low-cost, the airline wasn’t as low-cost as its competitors would be. 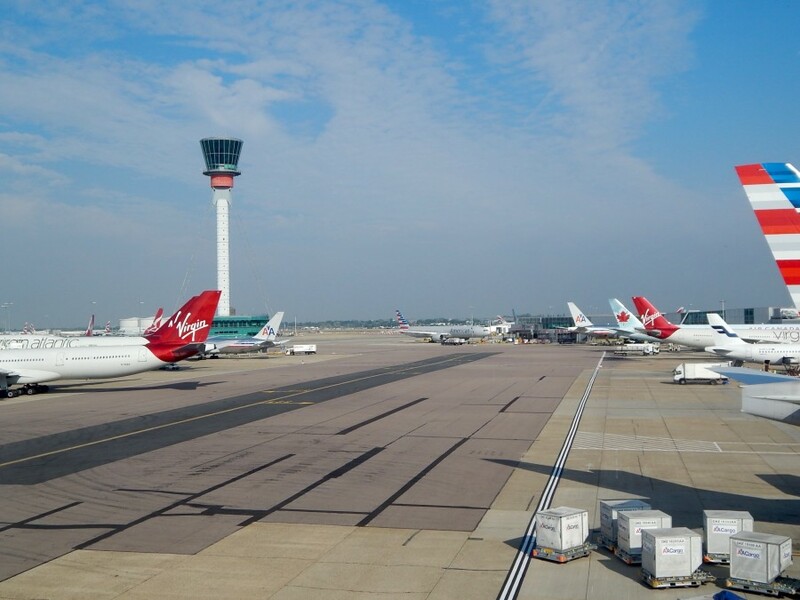 Initially, the airline’s fare structure included many of the ancillaries that its competitors charged extra for, notable baggage and meals, in its fares. Unlike its competitors, XL Airways provided a free meal and allowed for a checked bag, carry-on and personal item with the fare. The included ancillaries, despite the onboard product that proved to be very indicative of a low-cost airline, immediately differentiated the airline from other low-costs once the likes of Norwegian began to sprout. Onboard, the airline offered a basic product. In-flight entertainment was limited, with streaming on-demand only being offered a few years ago, and seats were configured either in a 3-3-3 or 2-5-2 configuration, unique for any Airbus A330 operator. The airline excelled, however, in offering a low-cost product while maintaining its French identity. The common theme with low-cost transatlantic airlines, with the exception of Icelandic WOW air, has been the lack of an identity. Almost all of the transatlantic low-costs, whether based in Norway, Ireland, Denmark or Spain, shed their identities in favor of a generic brand due to the nature of the routes being offered. Since all of XL Airways’ flights either begin or end in France, the airline is able to offer and promote its “French touch,” according to Revol, which further differentiates the airline from its low-cost competitors and attracts customers looking for an identity when flying. Throughout the low-cost revolution, XL Airways solely offered a single fare option as it was an all-economy airline. As previously mentioned, the fare included baggage allowances, seat selection and even meals without having to pay additional fees. 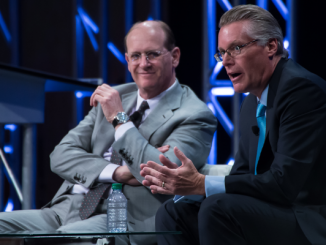 The singular fare option was touted by the airline’s chief executive officer as a better option to the “naked” fares offered by his low-cost competitors. The fare will, however, still retain the complimentary meals that the airline is known for. The move, according to Revol, makes the airline more competitive to its low-cost rivals while still giving XL Airways the slight advantage. 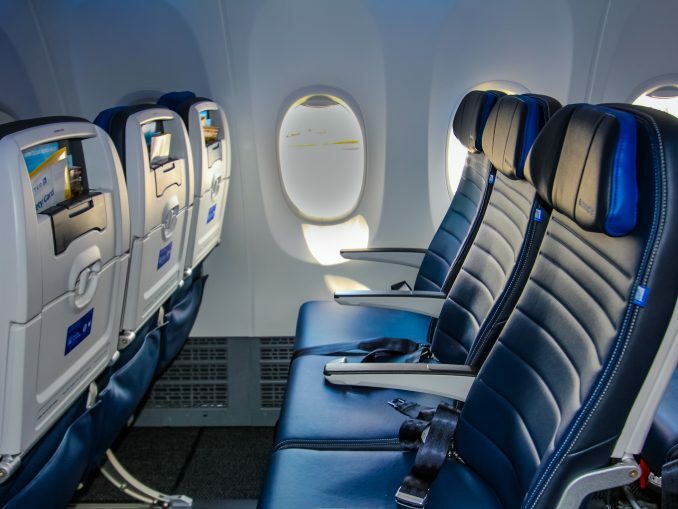 In addition to the new fare class, another radical departure for the airline will be the introduction of a premium economy cabin on its aircraft. Historically, the airline had been an all-economy operation with no premium seating whatsoever on its long-haul Airbus aircraft, but since the two remaining low-cost airlines, Norwegian and LEVEL, both offer a premium cabin, the move will make XL Airways more competitive with its rivals. Although details are scarce, the configuration of the premium economy cabin to be situated in the front of the aircraft will be a 2-3-2 configuration, as found in most A330 premium economy cabins. The fare offered for the new product will likely also include additional baggage allowances, complimentary seat assignments and enhanced meal options. 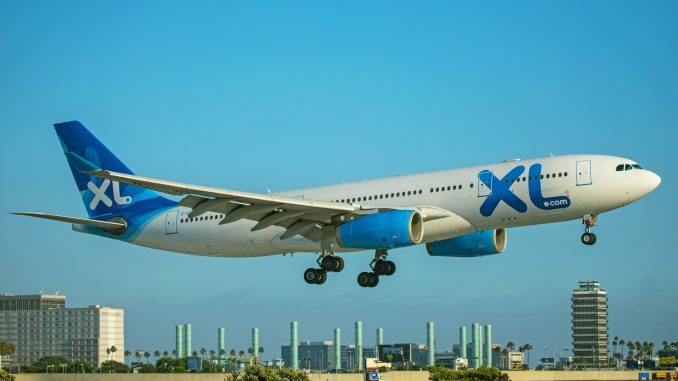 In January, XL Airways announced it had placed an order for 2 Airbus A330-900neos, first delivered to TAP Air Portugal in November 2018. 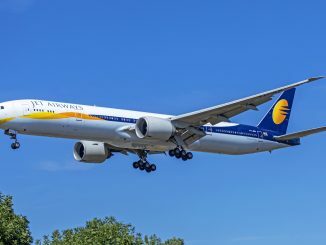 The order was the logical next step for the airline as it operates an all-Airbus A330 fleet, meaning that current pilots can easily transition between the two aircraft, and the Neo is more cost effective than the current engine option aircraft. 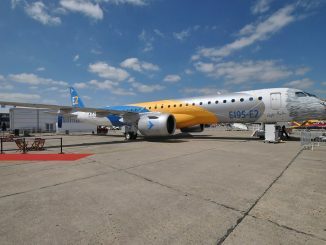 The first aircraft is set to be delivered in October 2020 with the second and final delivery either in December 2020 or January 2021. XL Airways will be the launch customer of the 251 tonne variant of the A330-900neo, able to fly up to 7,200 nautical miles. The extended range aircraft will allow XL Airways to expand eastward in Asia, where it only serves two destinations, Tel Aviv, Israel and Jinan, China. Although not mentioning specific cities, Revol confirmed that the airline has its sights on Asia, thanks to the success of the Jinan route, with the Neo in mind. When the Neo is delivered to XL Airways, it will feature the new premium economy cabin, but also a revamped economy cabin. As part of the new cabin, XL Airways will offer new slimline economy seats and additional in-flight entertainment options. Each seat will have a seatback in-flight entertainment screen, in addition to the current streaming options offered, and the aircraft will feature WiFi, with the airline currently deciding on a provider. Although unconfirmed, a 3-3-3 configuration will likely be offered. In-seat power is currently being contemplated by the airline. According to Revol, there are numerous considerations when discussing in-seat power. USB charging ports are likely to be featured via the seatback screens, but power outlets bring about extra questions and concerns that the airline will have to face before the retrofit begins. The new product offered on the Neo won’t be specific to the next-generation aircraft as XL Airways plans to retrofit its entire fleet within the next two years. Despite it being a new aircraft, the airline doesn’t want any differentiation between a Neo interior and a Ceo interior for consistency sake. The Neo will likely feature XL Airways’ current 3-3-3 configuration, which will make XL Airways the first airline to operate a Neo in such a configuration aimed at high-density seating. XL Airways did consider the Airbus A350-900XWB, currently operated by French competitors Air Caraibes and French Bee, when deciding on new aircraft to purchase, but ultimately decided against it for the simple reason that it was too much airplane for XL’s operation. The door was left open, however, should XL Airways want to eventually expand its route network to where the A350 would be a cost-effective option. Ultimately, operating an all-Airbus A330 fleet means lower pilot training costs, lower maintenance costs and easier interchangeability for both pilots and mechanics. Except for a small differences course, an A330-typed pilot can jump right into the Neo on day one and fly it. It was speculated that XL Airways would invest in the A321neo in order to serve long, thin routes to smaller cities such as Toulouse, Nice and Marseilles from New York, with rumors being fueled by Magnin; however, La Compagnie ended up ordering the aircraft first. 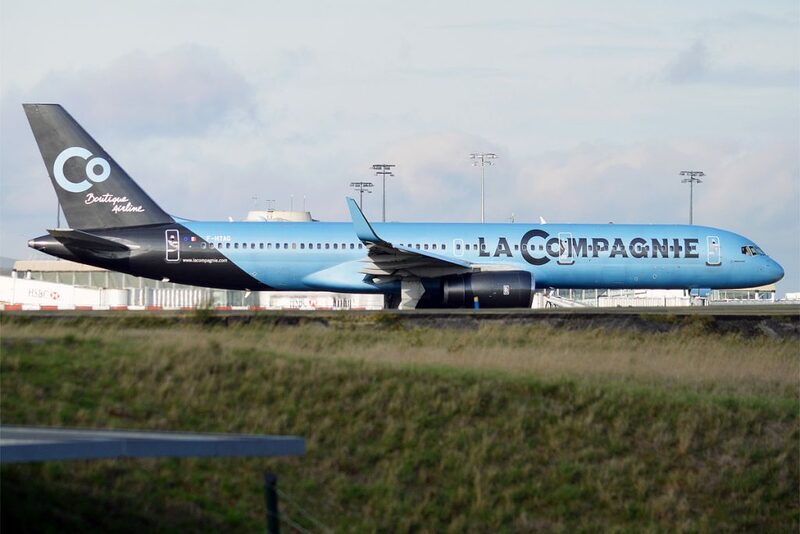 In service for La Compagnie, the aircraft will initially fly on the upcoming Newark to Nice route and feature enhancements over the Boeing 757-200s currently operated by the airline such as lie-flat seats. With the majority of its route network facing west, XL Airways has room to grow to the east. Although two routes are on the books for Asia to Jinan and Tel Aviv, the former is only seasonal weekly service and the latter was only summer-seasonal for the summer 2018 season. The desire to grow into Asia is there. With the Far East, expansion will likely occur once the new aircraft arrive. Once XL Airways grows its fleet, it can grow its route network. Currently, the airline balances 22 destinations across four aircraft. French low-cost long-haul airlines have been hesitant with eastward expansion, with very few operating to Asian countries in the Far East. With the new Neo’s, XL Airways will have the range capable of serving more destinations with the fuel efficiency of the aircraft itself and Trent 7000 engines reducing the aircraft’s operating costs. The extra tonnage also allows for more cargo, which will be highly profitable on routes to Asia, maybe even more so than the seats above. Serving Jinan, near Beijing, the airline was able to get its feet wet in the Asia market. According to Revol, the service is profitable and is also a learning experience for the airline for when service to Asia is eventually expanded. In the Middle East, XL Airways conducted an experiment with service to Tel Aviv aimed at attracting New Yorkers looking to fly to Israel. As a point-to-point airline, XL Airways doesn’t typically deal in connecting itineraries, but made the exception last year for Tel Aviv, even offering a free stopover in Paris. New York to Tel Aviv is a highly profitable route thanks to the Jewish diaspora in New York. Three airlines connect the Big Apple with Israel’s largest city: El Al Israel Airlines, United Airlines and Delta Air Lines, with numerous daily frequencies. 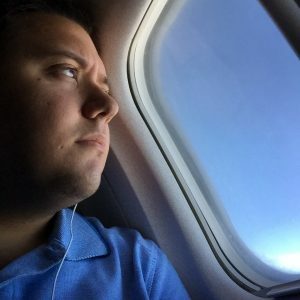 WOW air had previously tried connecting the U.S. with Israel but ended the route just months before its bankruptcy. XL Airways reported success on the route, though admitted it was a challenge to convert to a hub model than a point-to-point model just for this one route. 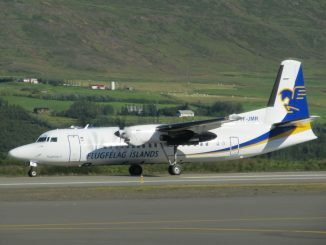 The airline said it will decide whether or not to bring back the service for the upcoming summer season. “Asia is a great place for us to expand,” said Revol.